Out of all urban communities in Pakistan, the city in which we live holds an extraordinary place for us. Every city in Pakistan has its one of a kind and intriguing highlights however you will dependably adore your city more than others. 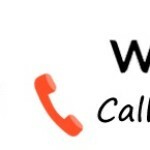 Have you at any point thought your city could give you the advantage of calling at low rates?? Most likely not! But thinking out of the box Warid has introduced a region based offer. 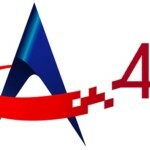 Warid has recently introduced Apna Shehar offer according to different regions or cities in Pakistan. This offer is also considered as a region-based offer. It will allow you to make free unlimited calls from your city to anywhere in Pakistan. It also gives you the benefit of calling on off-net numbers at lowest rates. List of all cities in which this offer will be valid is available on official website of Warid. Currently, this offer can be activated only in Multan and Hyderabad regions, but Warid is thinking to extend this offer to the different cities of Pakistan soon. Get all detail related to this offer below. Charges of this offer are easily affordable, i.e., Rs.7.99 + tax per day, but that is only one time charges for a day. You can make calls to any Warid number free while on off-net no charges of Rs.0.02 per second. Charges of sending SMS to 4337 are Rs.1 + tax. Activate Apna Shehar offer now by sending an SMS “BOL” to 4337 and get free unlimited talk time from Warid to Warid and for other networks make calls at the cheapest rate. You can avail this offer once you get a confirmation message from the company. 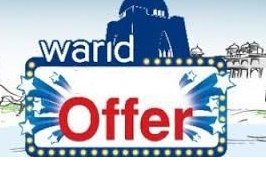 For any further detail related to activation of the offer, you can call to Warid helpline 100. 300 Warid to Warid minutes for unlimited calling without any charges from your city to anywhere in Pakistan. Call on any off-net number at the rate of Rs.0.02 per second. Offer is valid only for Hyderabad, Multan and nearby cities. If you subscribe this offer from any other regions than free minutes will not be provided, but the company will subtract subscription charges. This offer is available for ported numbers. Apna Shehar offer will only be available for the minute package. The package will automatically convert to the minute package if you subscribe this offer. 14% of withholding tax will apply on recharge and FED on usage will be applicable. The offer will renew at midnight if you have enough balance otherwise Apna Shehar offer will automatically get Un-subscribed, or you can send “BOL<space>off” to 4337. Feel special if you belong to Hyderabad and Multan region as Warid is giving you treat of free unlimited calls to on-net numbers as well as on off-net numbers minimal charges will apply. If your city is not is not included in Apna Shehar offer then do not be disappointed, Warid will introduce this offer for other areas shortly.